Since August, shop shelves have been lined with a plethora of selection boxes. If Twitter trends are anything to go by it seems as if we have forgotten about anything that comes before Christmas. So, for the next few weeks I will feature something related to the great holiday that is Halloween. 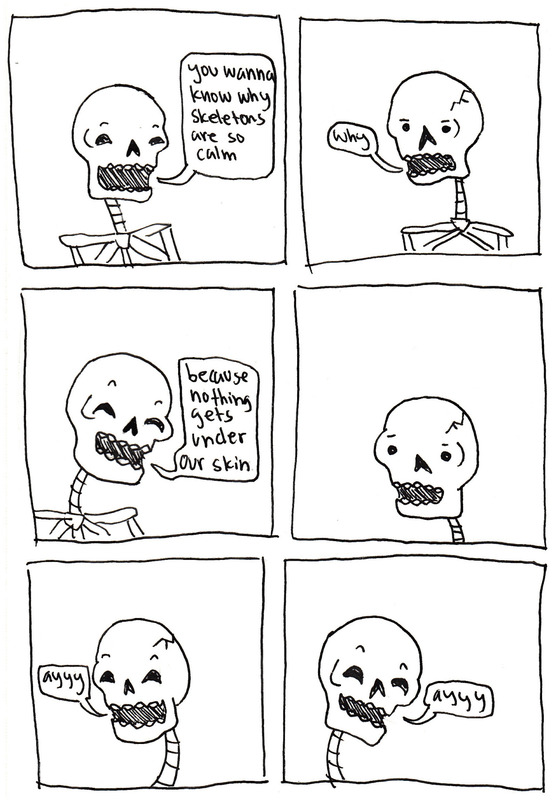 This week I am featuring Tumblr user frenums who has been entertaining the internet with her comic strips. 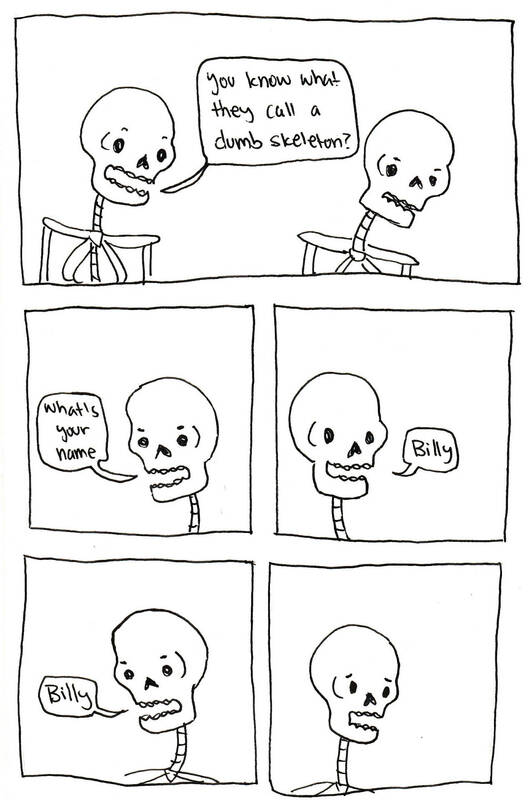 My favourite ones have to be the strips featuring skeletons who are never short of a good pun. Many may groan like the undead at the thought of a well placed pun, but sometimes it is just the kind of light humour you need. You can view all of frenums’ art work here but here is a taster below (click picture to see original post).